Get smarter in just 60 minutes with in60Learning. Concise and elegantly written nonfiction audiobooks help you learn the core subject matter in 20 percent of the time. Life is short, so explore a multitude of fascinating historical, biographical, scientific, political, and financial topics in only an hour each. 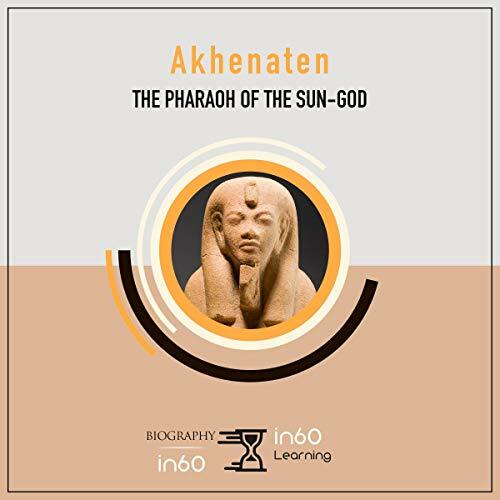 Akhenaten is one of ancient Egypt's most famous pharaohs both for fathering Tutankhaten and being the only pharaoh bold enough to discard thousands of years of religious history in favor of a new god, the Sun-Disk Aten. Akhenaten single-handedly altered Egypt more on its own than it would be changed until outside Greek influence took over. The impact his changes had on the religion of Egypt during and after his life cannot be understated, and the ways in which his predecessors worked to undo everything he had done is a remarkable act of revisionist history. The Sun-Disk Aten would live on and influence the world in surprising ways even after many believed it to have been purged from religious records.